Sales in a Countdown popup! Doesn’t this sound interesting? You select the product to be on sale, add an attractive image of it, add a countdown to show the start and the end time of your sale! This time estimation will encourage customers not to loose their chance to get the product on a lower price! Website business has become some kind of a racing! You should do your best to promote your website not to hang behind the rest of the competitors. One of the best solutions to keep up in the race and become a leader in this field is promoting sales, lots of attractive sales! Sales are the lifeblood of every business. Who doesn’t like sales? All the customers do! Sales for special occasions, sales for holidays or just weekend sales any of these will do! It’s good to offer sales on your website from time to time to intrigue and encourage your customers to buy more products in more profitable prices. Pick one of your products and offer a discount for it for some period. If customers don’t purchase that product now, they’re likely to get interested in it when you offer a sale. They won’t miss out the chance to save some money. Let’s check one of many good ways to display sales with Popup Maker! Beautifully customize the design of the online popup to your taste and feel. Add it on a specific page or the whole website, anyway, you wish! 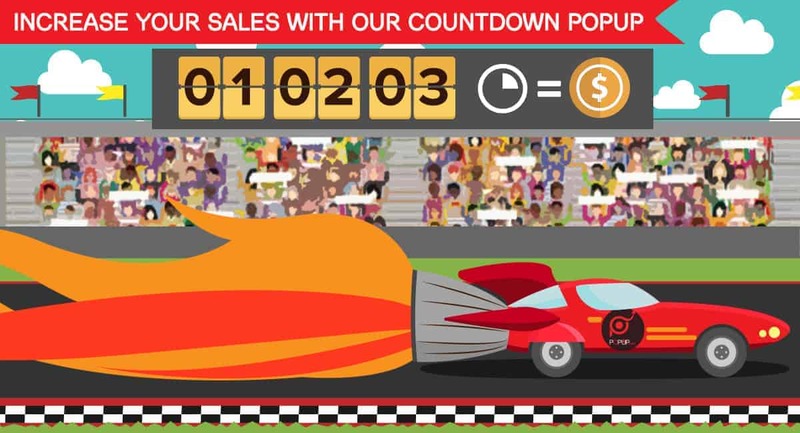 Now, let’s check some interesting ideas to create and add “sales countdown popup” with Popup Maker. Offer sales for Black Friday! All of the customers and shopaholics are waiting for that special day, the Black Friday, in a year to buy everything in the lowest prices possible! This is the very time to display a countdown popup for 24 hours with the Sale you offer! Everyone loves Christmas and, of course, everyone loves Christmas sales! Provide an online popup with a pre-holiday sale promotion for your products. 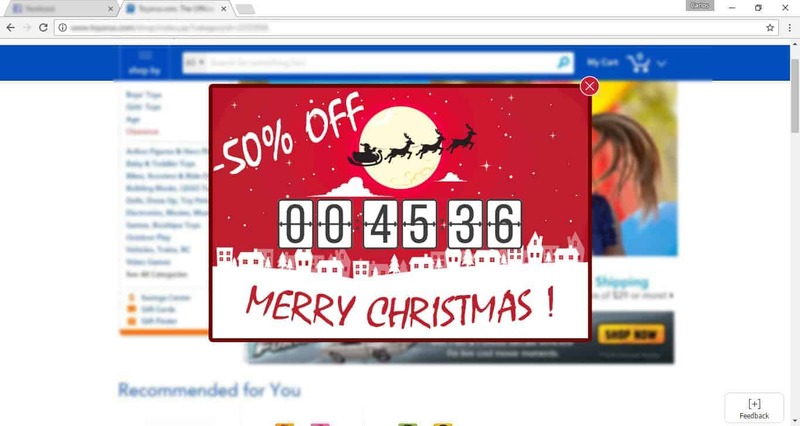 You can add the online popup with a countdown for some days until Christmas. Suppose, you want to promote some piece of your product or service on your website to gain more income. It’s good to make sales periodically, even on no significant special days like holidays. This will be your own kind of sales, for your website only. It can be a Weekend sales, for example. 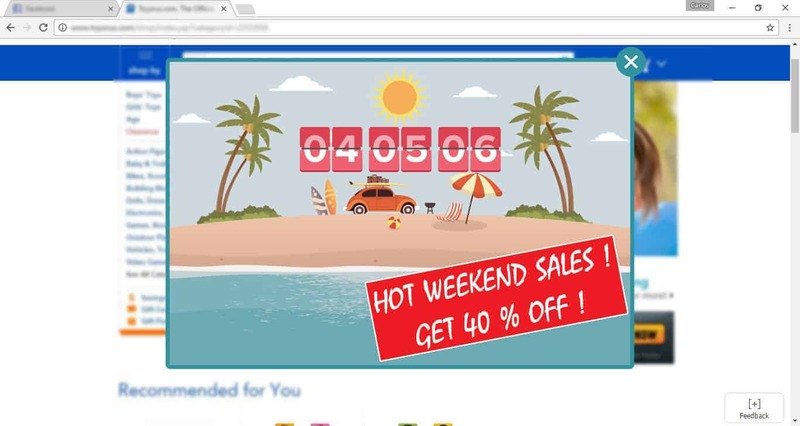 Add a sales online popup with a countdown to last only 2 weekend days. Start on Friday 23:59 PM and end it up on Sunday 23:59 PM. These were just a little examples of the greatest ideas you can realize with Popup Maker! So go ahead and add your own countdown sales! Previous Post:Turn Your Website Visitors Into Real Customers!